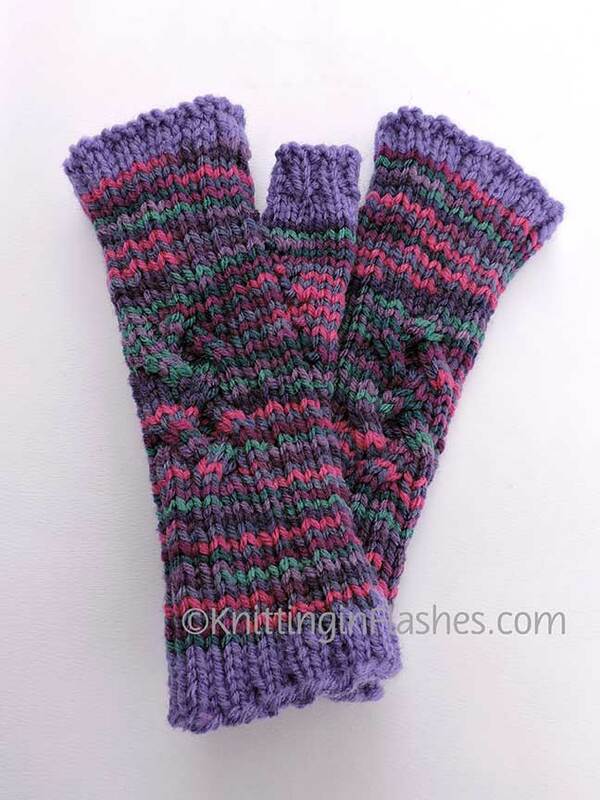 Fingerless mitts were on the needles of knitted gifts for my granddaughters this year. 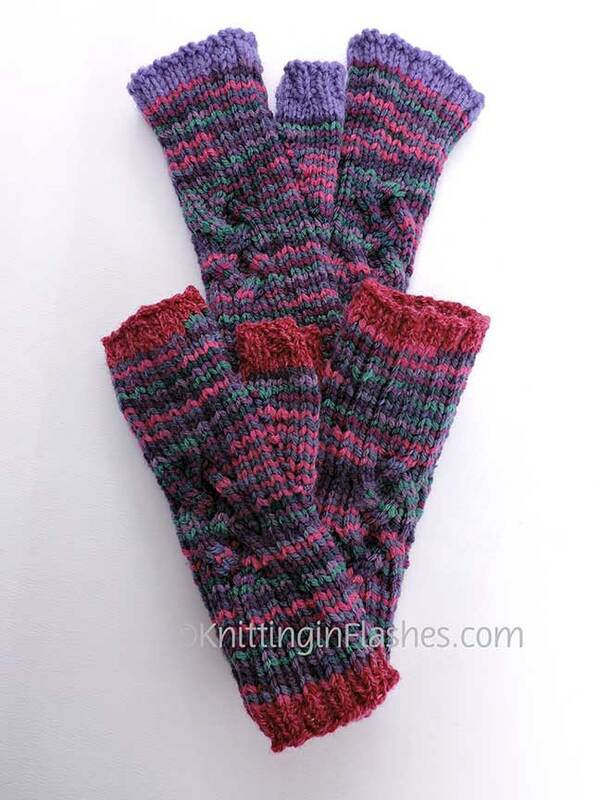 The twins wanted mitts just like the ones I knit for their mother. I used some stash yarn I purchased years ago for sweaters for them (that didn’t get made). The difference is the edging color so they can tell them apart. Easy care acrylic yarn that is machine washable and dryable. 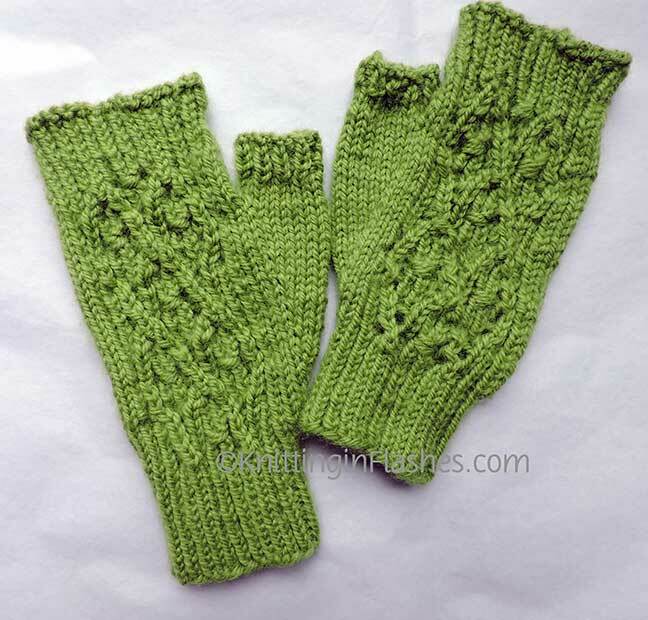 Shirl’s Mitts. Using worsted weight yarn and dropped down to size US 5 needle so they would be smaller. I understand that as soon as these were unwrapped on Christmas morning, the girls put them on and wore them all day! 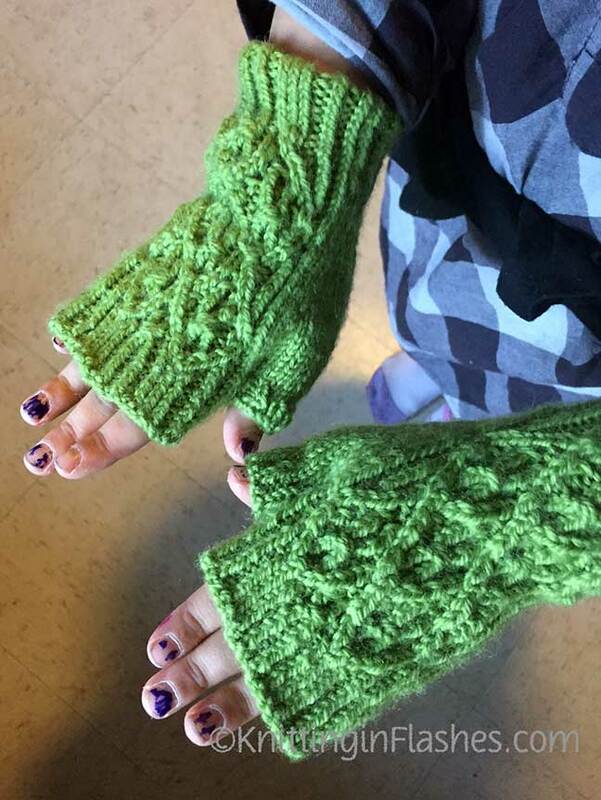 My other granddaughter wanted fingerless mitts as well. I decided to use a more complicated pattern since I only had to make one pair. 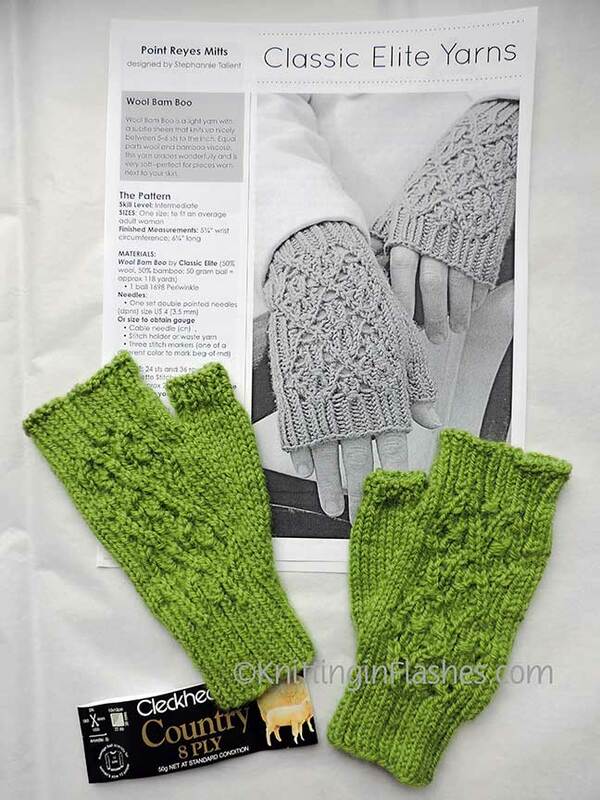 Point Reyes Mitts from Classic Elite. The pattern called for a wool/bamboo yarn but once again, I shopped from my stash. The color was the important part along with easy care so I used Cleckheaton Country 8 ply yarn, 100% washable wool. I also went down one size needle to US 3 to make them smaller. Fun pattern that is both written and charted. 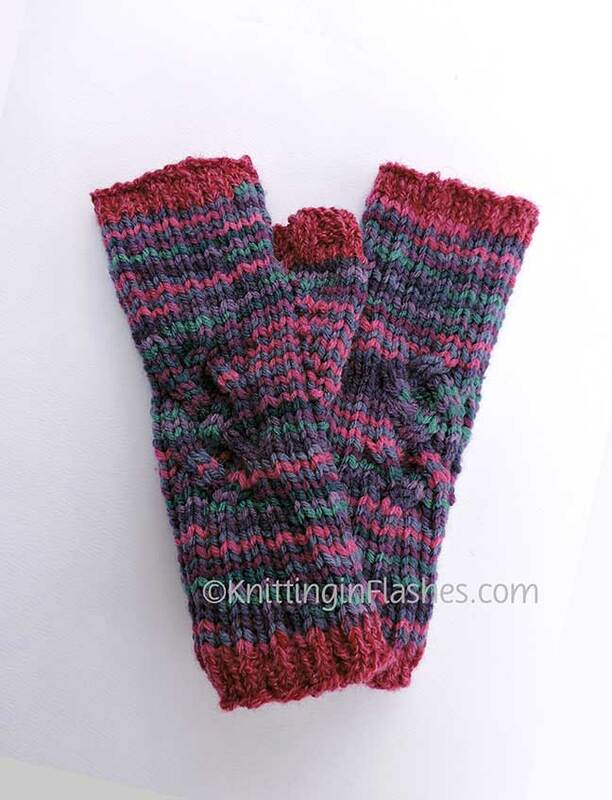 This entry was posted in Christmas, finished object, grandkids, holiday, knit, knitting, mittens, mitts, yarn and tagged Christmas, fingerless mitts, finished object, grandchildren, knit, knitting, yarn by Patti_is_knittinginflashes. Bookmark the permalink. Those are really neat. I wear the ones you made for me all the time. Oh my! Did mine get lost in the mail???? lol. Happy New Year. Yay for Christmas successes!! 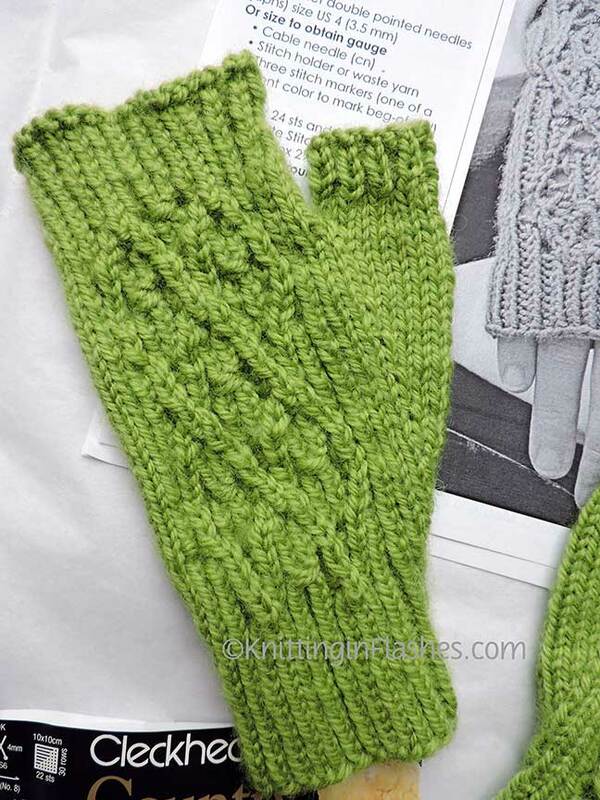 They are darling mitts all.